November 2016 was a busy month for CPD, we attended the Institute of Osteopathy (www.osteopathy.org) conference. The main themes were Headaches and the role of Osteopathy in their management. The new NICE guidelines on Low back pain management and broader discussions on ‘Reaching out’ with Osteopathy to help more people in the community. The time spent at the iO conference counts toward our annual CPD (Continuing Professional Development) commitment. 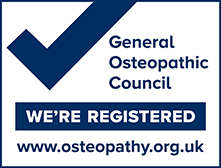 At present all Osteopaths have to complete 30 hrs of CPD a year. This is a great opportunity to explore interesting areas and deepen our knowledge base. All of which should reflect in the care that we can provide to our patients.